1. 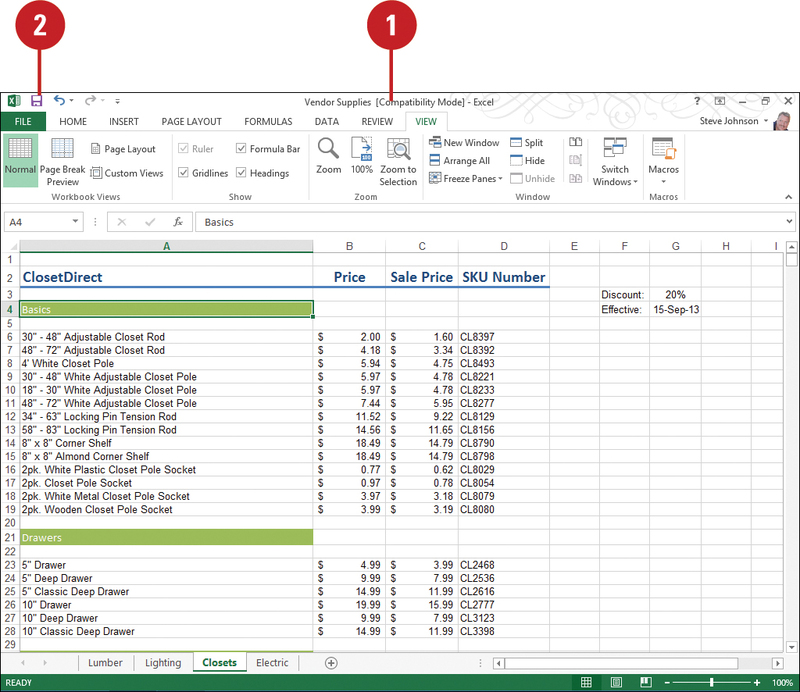 Open the Excel 97-2003 workbook you want to continue to save in the Excel 97-2003 format. 2. Click the Save button on the Quick Access Toolbar, or click the File tab, and then click Save. • Default Save Format. Click the Save files in this format list arrow, and then click the default format you want. • Don’t show the Backstage when opening or saving files. Select to enable (New!). • Show additional places for saving, even if sign-in may be required. Select to enable (New!). • Save to Computer by default. Select to enable (New!). • Default local file location. 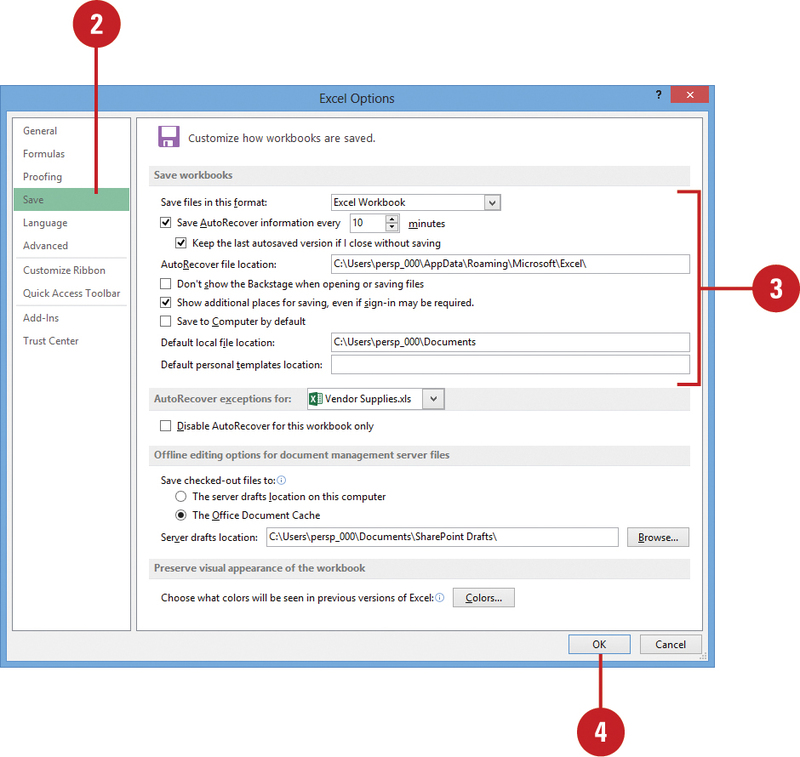 Specify the complete path to the folder location where you want to save your workbooks.